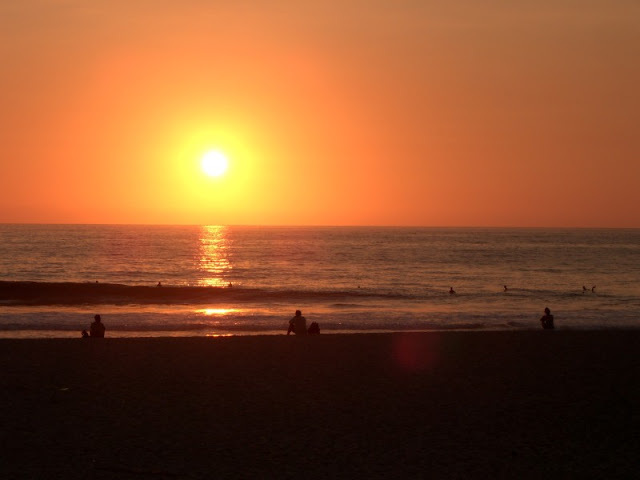 Having been away from the ocean for too long, we hopped a bus from the city of Oaxaca to Puerto Escondido, a small town on the Oaxacan coast. 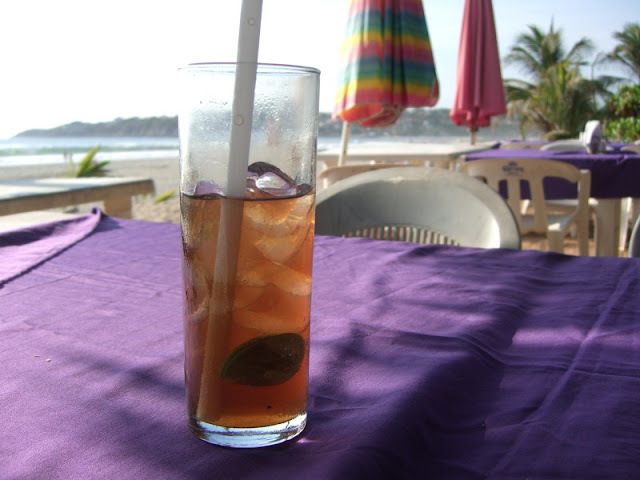 Soon after our arrival, we were sipping Cuba Libres at a small restaurant on the beach. 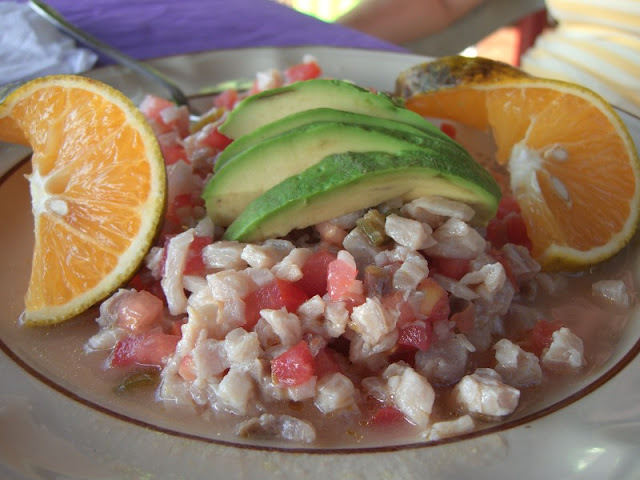 We tried the ceviche, which I'm pretty sure was made to order. It was terrific - our best so far on this trip. 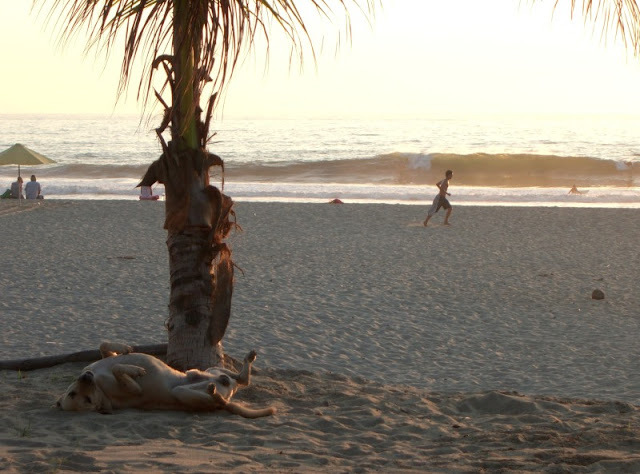 Life rolls easy in Puerto Escondido - even for the dogs. We sat contentedly sipping our drinks until the sun went down.